It looks like OnePlus is warming up the engines ahead of its next flagship, but a new rumour has suggested there will be two OnePlus handsets launching in the next few months. Android specialist site Droid-Pile has spoken to sources who revealed there will be a OnePlus One Lite edition launching alongside the OnePlus Two. The source suggests it will have higher specs than the original OnePlus One, making the naming process quite complicated, but will come with a more affordable price tag than the OnePlus Two. We've previously heard the price is set to jump for the company's second edition, maybe OnePlus is going to temper that with a new refreshed cheap handset. Sadly there's no inclining of the specs yet but the source did suggest it'll only be available through invites at launch. Last week, rumours of two handsets from OnePlus surfaced from a different source. Add that together with this story and it looks like OnePlus is going to be having a big few months. OnePlus is also teasing an announcement later today so be sure to keep your eyes peeled for the next few hours. 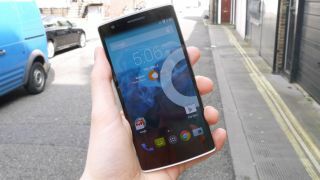 All the rumours so far for the OnePlus Two.